The first of two public meetings to outline plans for the Metro LRT Line in the city’s northwest was scheduled for Thursday evening on the north side. Currently, the Metro LRT Line ends at a temporary station at NAIT – but the city plans to extend the line northwest, close to Anthony Henday Drive and St. Albert Trail on Campbell Road. Previews of the line design show two underground stations and a tall suspension bridge over Yellowhead Trail and Calder Railyard. “We really need to get it up into Ward 3, where people have been waiting a very long time,” Ward 3 Councillor Jon Dziadyk said Thursday. The line extension is scheduled to be completed in two phases, the first completing the line up to Blatchford from the permanent NAIT station, and the second extending the line to Campbell Road. Dziadyk said the first phase of the project doesn’t go far enough – he’d like to see the line extend past Yellowhead Trail. “It makes sense to push into Blatchford now, but we really have to make that hurdle, that jump over the Yellowhead,” Dziadyk said. The councillor for Ward 2 agrees. “As far as 137[Avenue] even, if I can get it into the quadrant, people can come to it,” Councillor Bev Esslinger said. This line is the next on the list for the city, after the Valley Line into southeast Edmonton (currently under construction), and the Valley Line to Lewis Farms in the city’s west end. The city is also eventually planning to include LRT line extensions to Ellerslie, Gorman, Whyte Avenue and Sherwood Park, but which extension comes next is up to City Council. 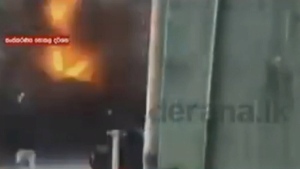 And the city plans to complete the entire LRT network in about 20 years. “In a perfect world we would love to have everything done by the year 2040, chances are it’s going to take us a bit longer than that,” Nat Alampi with the City of Edmonton said. Those designs and the location for the tracks will be on display Thursday, September 13 (between 5 and 7:30 p.m.) during the public meeting at Spruce Avenue Community League (10240 115 Avenue NW). Another public meeting has been scheduled for Tuesday, September 18, 2018, between 11:30 a.m. and 1:30 p.m. and between 5 and 7 p.m. at the Castle Downs Family YMCA (11510 153 Avenue). 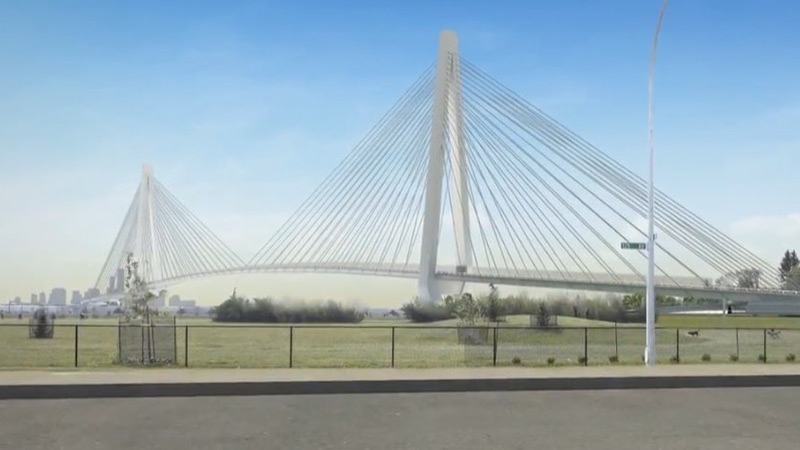 A still taken from video posted online by the City of Edmonton shows a possible design for the Walker Bridge, which would cross Yellowhead Tr. and the Calder Railyard. 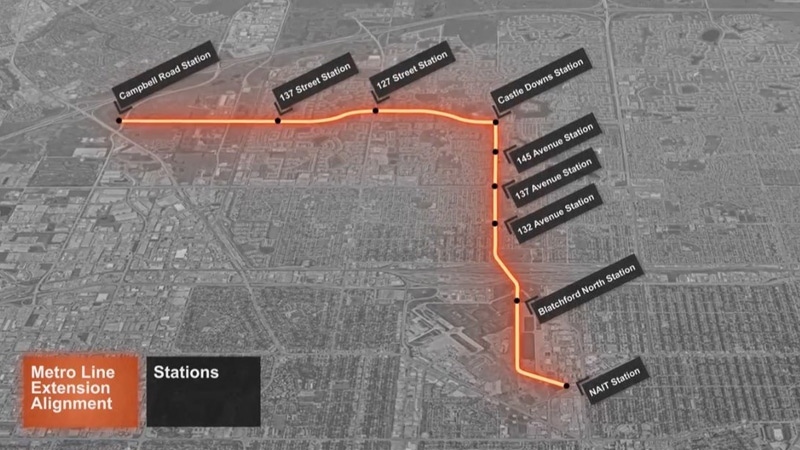 A potential route for the Metro LRT Line, between the NAIT and Campbell Road stations, as seen in a video posted online by the City of Edmonton. 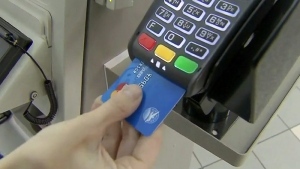 Albertans are more concerned about their consumer debt than people in other provinces, according to the latest MNP Consumer Debt Index.